As of 2009, 20% of the youth in juvenile centres have dyslexia, as compared to the 6% of the general population. Data from a 1993 study found that there is a higher rate of psychiatric morbidity in Kuwaiti prisons than in the general population. 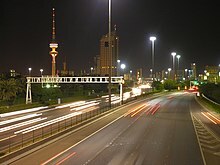 Most Kuwaiti citizens are Muslim; it is estimated that 60%–65% are Sunni and 35%–40% are Shias. 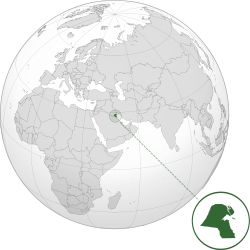 Most Shia Kuwaiti citizens are of Persian ancestry. The country includes a native Christian community, estimated to be composed of between 259 and 400 Christian Kuwaiti citizens. 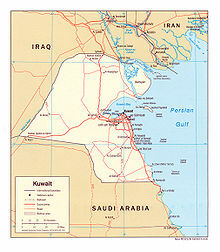 Kuwait is the only GCC country besides Bahrain to have a local Christian population who hold citizenship. 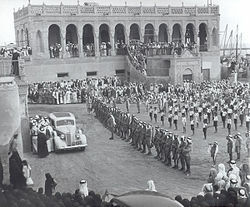 There is also a small number of Bahá'í Kuwaiti citizens. 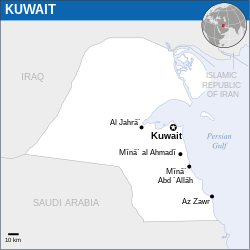 Kuwait also has a large community of expatriate Christians, Hindus, Buddhists, and Sikhs. ^ Fido, Abdullahi; Al-Jabally, Maher (1993). "Presence of psychiatric morbidity in prison population in Kuwait". Annals of Clinical Psychiatry. 5: 107–110. 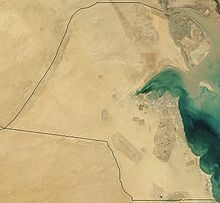 This page is based on the Wikipedia article Kuwait; it is used under the Creative Commons Attribution-ShareAlike 3.0 Unported License (CC-BY-SA). You may redistribute it, verbatim or modified, providing that you comply with the terms of the CC-BY-SA.